ECHL Week continues on 100 Degree Hockey! Today we take a look at the experience of players coming to the ECHL for the first time in their career. Just as there is often not enough ice time for everyone in Dallas, the same is true in Cedar Park and all across the league. 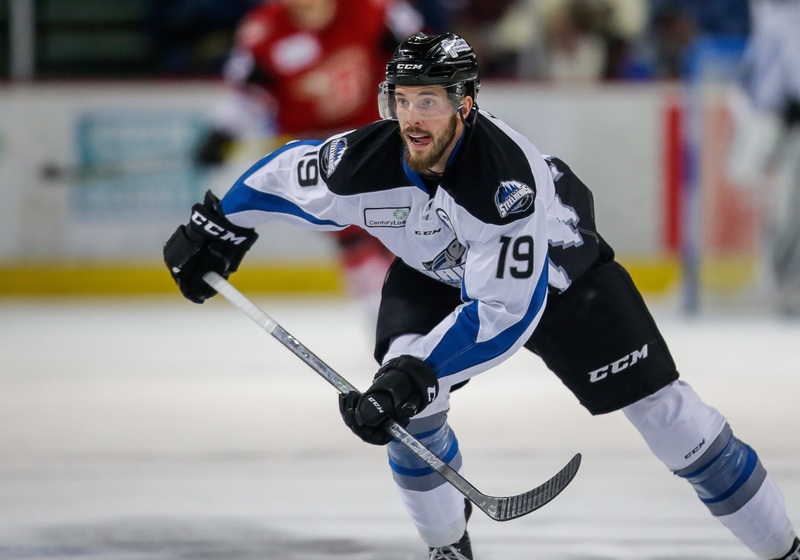 Whether it's a chance for more ice time or a chance to showcase offensive skills forgotten in the professional ranks, the ECHL can be a chance for all sorts of players to continue playing the game with an eye to the future. The first variety of players is typified by Branden Troock. A player who came straight out of juniors into the Stars' Calder Cup run, he has split time between the AHL and ECHL each season since, playing 15 games in Idaho as of this writing. Mike McMurtry is another player who has stepped into an ECHL role this season as a result of just too many bodies at the AHL level. The first thing that both players noticed as they moved to the league was the increase in ice time. Certainly they are playing in a more prominent role, which is part of it. The other factor is the drop from 12 forwards to just 10, usually three lines and some sort of specialist role. "You get some ice time," said McMurtry. "It’s key to keep your legs moving to push through that threshold. You’re playing so much that your legs will eventually come around. When you play that much, you have the puck a little bit more so you have the time to work on some things and maybe try some things you wouldn't have the opportunity to try in the AHL game." McMurtry and Troock have both excelled in that regard. McMurtry is better than a point per game player and Troock has 9 points in just 15 games. Regardless of the opportunity to play more, it's never an easy message to hear you're being sent down. Troock noted the team was good about supporting him when he went down, "Some of the older vets were very good about talking to me in a leadership way and explaining how it is down here and what to expect. A couple guys reached out and we’ve kept in touch." Coach Laxdal, when telling McMurtry that he was heading down, told the forward that they just wanted him to play more. "It’s not fun sitting out back to back games and such. He trusts me to do the right things and work on my game, get some more confidence. And when I go back up, to bring that confidence with me." The way the team has treated players in the past through the assignment gave Troock the confidence to know that the team was looking out for his best interests. "They will always do what’s best for your development." Troock was recalled the very next week to fill in for a suspended Austin Fyten. "I got to play in a lot of different situations down there," said Troock after last Friday's game against Bakersfield. "My cardio felt good here. [Coach Laxdal] just said to play the same way I was [in Boise]." The other side of the coin is the experience that Travis Ewanyk and Kellan Lain are having in Idaho. Both have spent the majority of their careers in the AHL. Ewanyk was a frequent visitor to the then-Cedar Park Center with the Barons. Kellan Lain spent most of his AHL time with Utica. For both of them, the ECHL was a blind spot. "I didn’t know too much about it being in the AHL," said Lain. "I didn’t associate with it too much." Ewanyk concurred, "I didn’t know what to expect. I’d never played at this level. I didn’t know about Idaho or Boise. 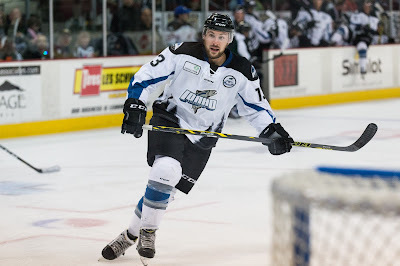 I couldn’t name the Steelheads as a team before this summer." The always recruiting mindset of Neil Graham put both players on the radar for the Steelheads this summer. They have very similar stories. Ewanyk recalled the conversation, "Neil Graham called me this summer and we ended up talking for an hour. He sold the city and the team very well, the players and the coaching staff. His enthusiasm really rubbed off on me." Even with the good vibes from Graham, Ewanyk still knew there was a lot of variability in the league, "You hear a lot of things with guys coming up and down. A lot depends on where they were in the ECHL. There are teams that are more well run than others. It comes from teams with bigger budgets." Idaho has met every positive expectation that he's had for the organization, however. "We’re treated extremely well here. They give us every opportunity and we’re privileged to put a team on the ice that wins. It’s as good as any AHL team here as far as how we’re treated." And he's getting a chance to do things he hasn't done in years, like play top six minutes. "[Graham] gave me opportunities I haven’t had since junior, the ability to play in a top 6 role and on the power play. Getting a chance to build on my game and show that I’m a two-way player." It's working as Ewanyk has 36 points in 41 games, a career high in any league already with more than 25 games left to go. Lain is already approaching his high of 19 points with the Comets with 17 this season in Boise. It's a chance for something different for the 6'6" forward who was always pegged as nothing more than a tough guy. "Nothing but good things to say, and I would invite anyone to come play here." We'll have a fun look at the role of the emergency backup in the ECHL tomorrow.